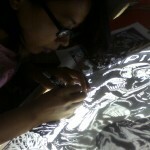 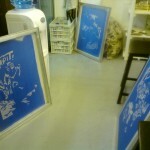 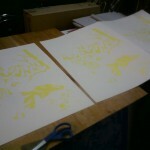 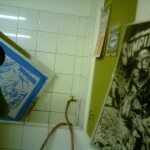 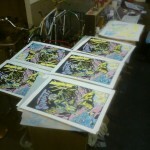 Some photos of our first run of 18×24 screen printed posters, designs by local gig poster artist, JP Cuison. 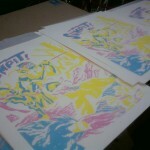 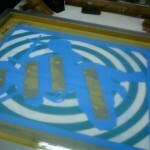 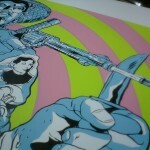 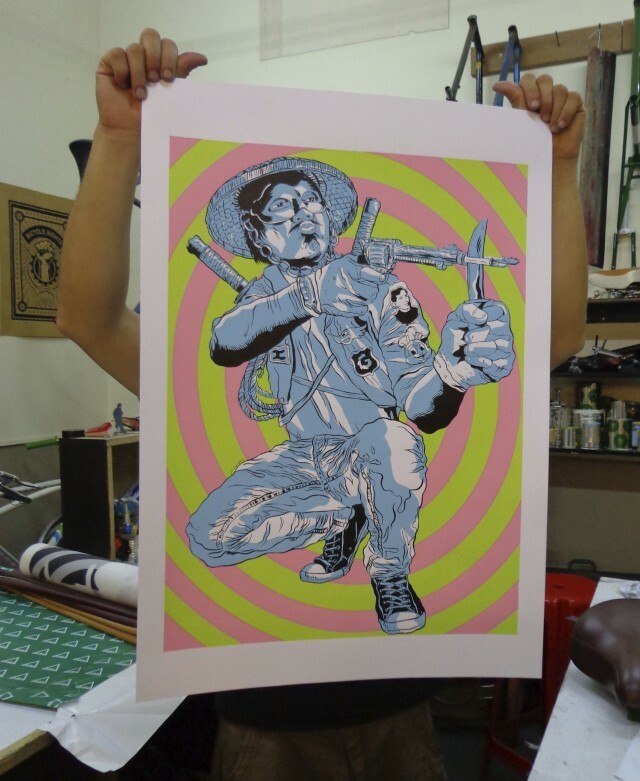 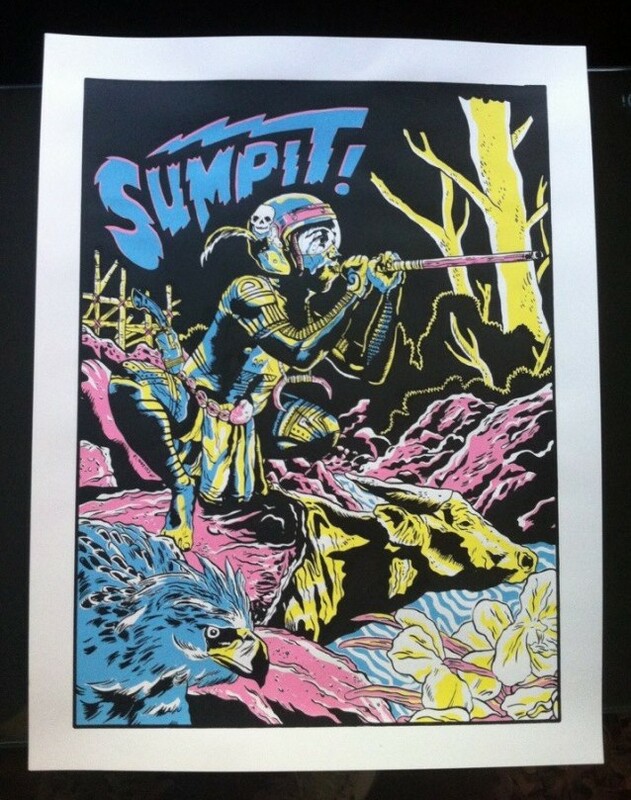 JP’s “Sumpit!” screen print travelled to Chicago for the Loaded Guns exhibit at Galerie F, you can check it out here. 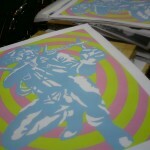 And the “Bullet-Split” print made it’s debut at Art in the Park in Salcedo, last March. 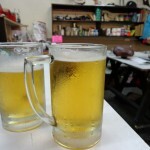 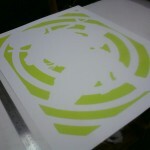 If you want to see it up close, we’ve also got one hanging on the wall at the shop. 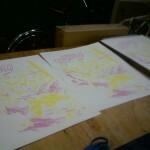 Big thank you to JP for letting us print his designs, we had a blast making them!